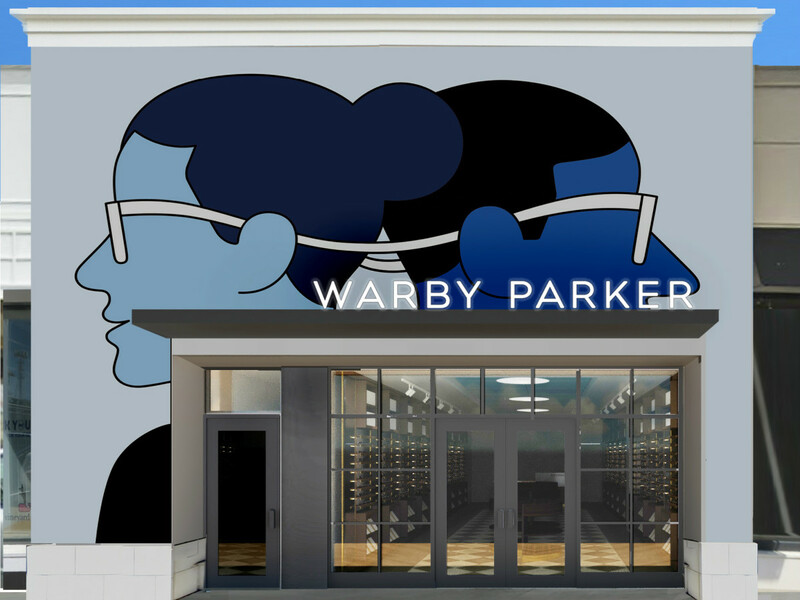 It’s hard to miss the new Warby Parker. Amid the muted grays and browns of the Highland Village storefronts, its eye-popping blue mural by Dutch artist Seb Agresti that takes up its street-fronting space is a beacon, beckoning guests to enter its chic boutique. 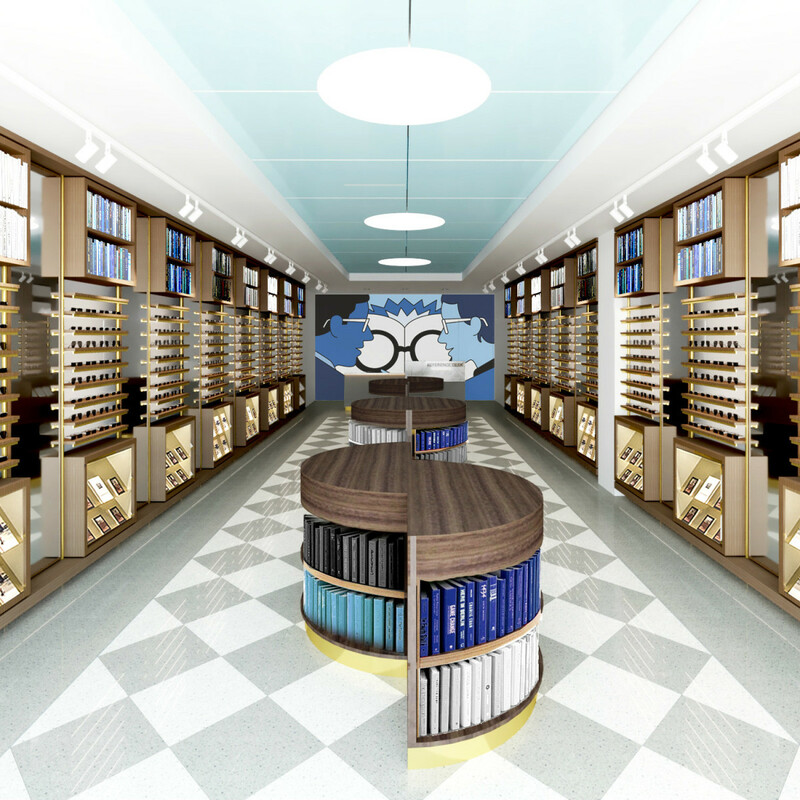 Long known among the glasses-wearing public as an online one-stop shop that would send people five pairs of frames to try on, offering both those and the necessary prescriptions for relatively inexpensive rates, the company had been quietly, concurrently, building its brick-and-mortar business. 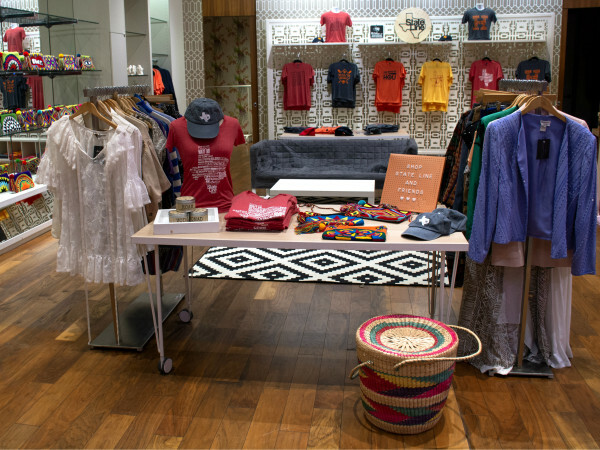 The new Highland Village shop is the fourth in Houston. 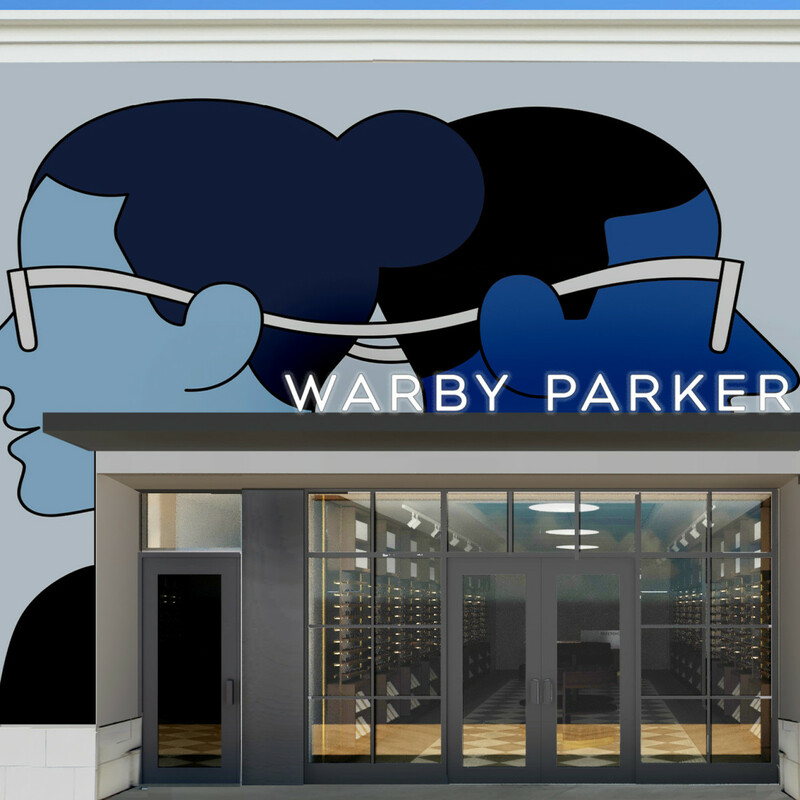 The newest addition to the Warby Parker retail empire opens officially to the public on Saturday, March 30, with a festive, day-long party. Steel City Pops will be there, offering treats for the VIPS. For opening day, Warby Parker has renamed the flavors after some of the brand’s newest and most favorite frames, including Christabel (Lavender Lemonade), Tilley (Strawberry Lemonade), Felix (Lime) and Remy (Blood Orange). 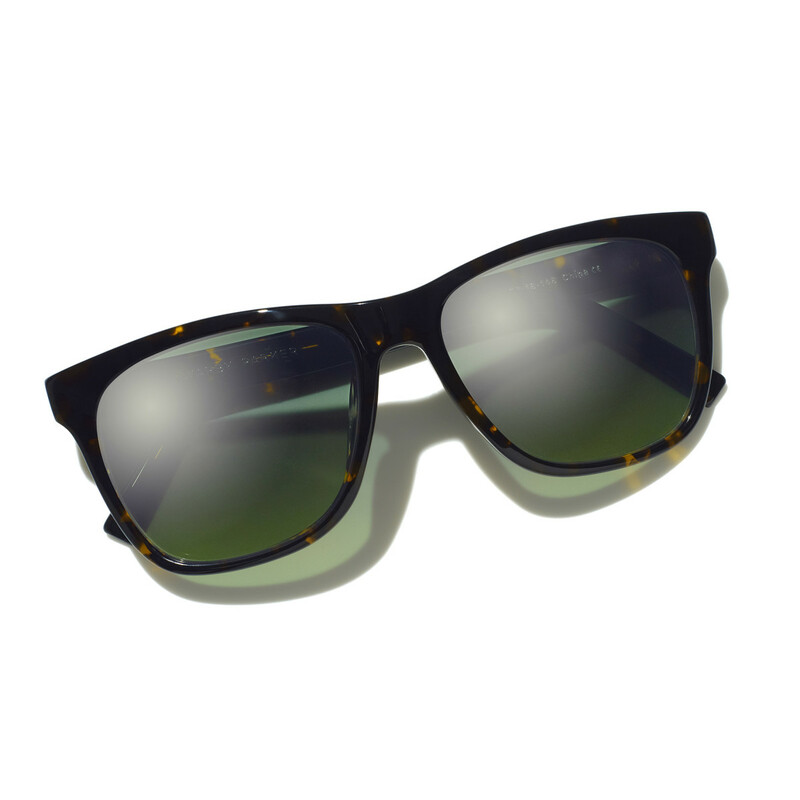 The retailer is also releasing a pair of limited- edition, Houston-exclusive sunglasses. As for the interior, it might be referred to as library-chic. 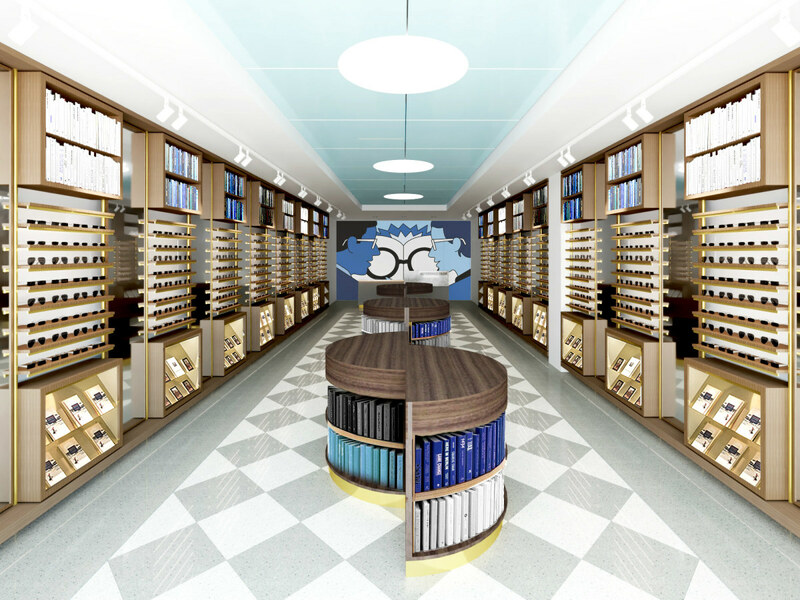 In addition to more Agresti artwork behind the store’s marble reference desk, where guests can pick up orders, have frames adjusted and consult with opticians, the space is filled with globe lighting tables, colorful displays of books, and brass accents. All of that accentuates Warby Parker’s full collection of eyeglasses and sunglasses, attractively displayed on oak shelving. In keeping with the Highland Village location’s library look, books are also available for purchase in-store. 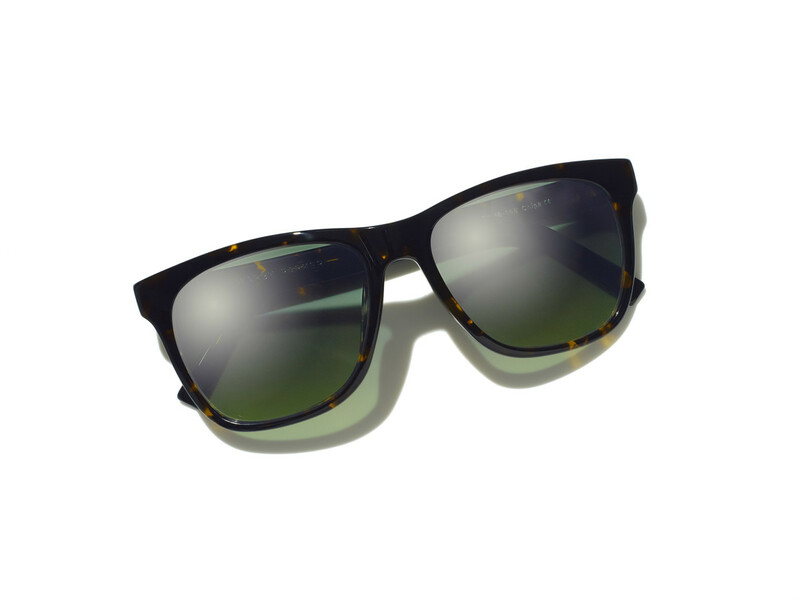 Warby Parker took its oversized, rectangular Lowry frame in Whiskey Tortoise and punched it up with flash reflective juniper gradient lenses, the perfect antidote to super-bright Bayou City summer sunshine. The new frames will be available at all four Houston locations. The store opening coincides with the retailer’s two new frame offerings. The Forma and Inlay Edition collections are both hand-crafted in Italy. Forma blends vintage style with modern sleek, showcasing tortoiseshell details with hip metal accents, while Inlay offers ultra-chic thin metal frames. This month’s opening isn’t the only milestone for the retailer. As of this month, Warby Parker has distributed five million pairs of glasses to those in need in more than 50 countries around the world. Warby Parker sees that as five million more people now have the glasses they need to learn, work, and achieve better economic outcomes. The new store should be a welcome addition to the Highland Village scene, given Warby Parker’s focus on trendy, stylish, form-and-function designs, and its attractive price point. 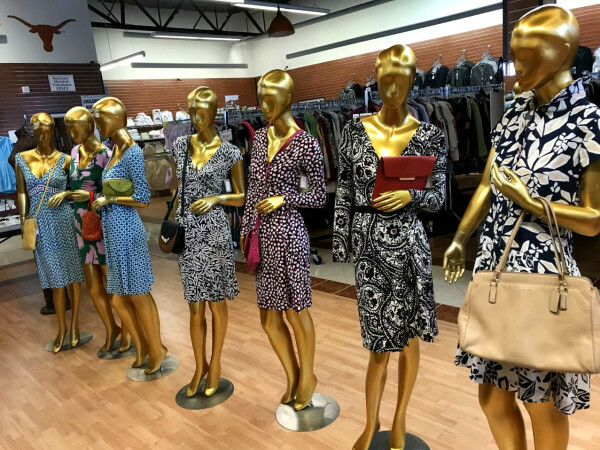 The retailer’s focus on chic design also indicates that it plans to make the Highland Village location a gathering point as well as a style retailer. Warby Parker Highland Village; 4078 Westheimer Rd. ; Monday through Saturday 10 am to 8 pm and Sunday from noon to 6 pm.